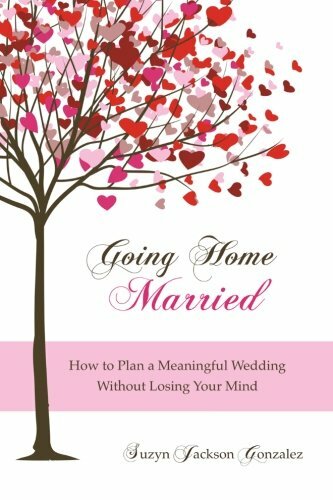 Going Home Married: How to Plan a Meaningful Wedding Without Losing Your Mind is a workbook, a series of questions designed to help you find your own meaning in the wedding ceremony and design an event around that. I aim to deflate stress by questioning the familiar wedding hoopla. Unlike most wedding books, which start with either the budget or the dress, I make the radical argument that the ceremony is the heart of a wedding, and that once you're married, all the rest is icing on the cake (as it were). Going Home Married walks you through the myriad choices you'll encounter on the path to making your wedding your own.